Work both sides of the Snuggle at the same time. Amazing! The picture shows the pattern with an unfinished end to give you an idea of how the two sided stockinette pattern works per row. Pattern works both sides at the same time for a smooth stockinette finish. This pattern produces the most comfortable Snuggle in the whole world. Really! It is very easy to work once you get the hang of the method. Over a multiple of 2 sts, plus 2 for edging. Cast on to desired width. Row 1. K1 (edge stitch), * K1, yarn forward, slip next st purlwise, yarn in back *, repeat from * to *, K1 (edge stitch). Row 2. Repeat row 1. 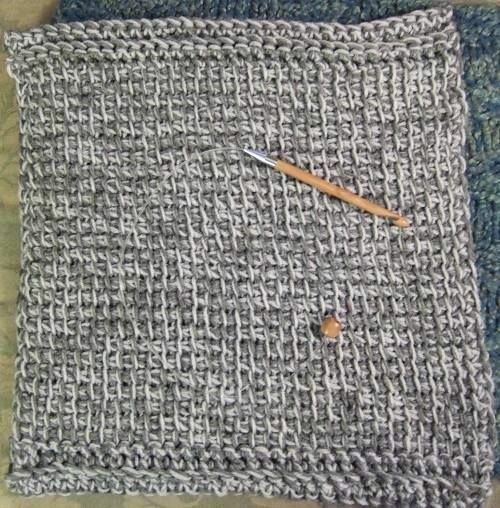 Thus you knit the slipped stitch from the previous row and you slip the knitted stitch. Right and wrong sides are alike. Work in pattern until desired length and cast off. Work long ends through work. This pattern is provided for the Snuggles Project (www.snugglesproject.org) and is for personal use only. Copyright Hugs for Homeless Animals (www.h4ha.org). All rights reserved.